Jitrada is one of Cheshire's premier Thai restaurants, located in the heart of Sale. The menu boasts an extensive selection, covering all styles of Thai cuisine. The chefs have been highly trained and have many years experience. Managed with customer satisfaction in mind, to offer you an exemplary service throughout your meal. The 120 cover restaurant has authentic decor from Thailand. With Asian treasures on the walls and Koi Carp in the pond (they are now 10 years old). Come and try Jitrada for an authentic Thai dining experience. One of our friend told us to visit this restaurant. Me and my wife decided to find out how to get a table. Our plan was Saturday evening to have a meal which was exactly our 10th anniversary therefore I phoned to the restaurant said our wish and successfully booked our table.The staff was absolutely helpful on the phone asked about is there any special occasions going on? Of course, I was happy to say about our 10th anniversary. I felt already looked after by this. Well, when we walked into restaurant the staff hosted us and checked our reservation. Our booking were there with my name,phone number and 10th anniversary which is pretty impressive to know how much this place care about their costumers. Then invited us to our table. Soon as we sit down waiters told as happy 10th anniversary. At the same time other staff came with 2 glasses of rose champain. All of this welcome service makes us very special and my wife were the happiest person on earth. We went on Special Banquit it was absolutely wonderful dinner we had lately. The service was great and experienced waiteress makes everybody happy and welcomed. I was worry about meal but simply Wowed both of us. Just want to say big thank you to every one who runs this business and thank you to your all staff. We would visit again to try different dishes.The Food menu has many choices to try. Plus,Koi fishes in the pond under the bridge was great design. Simply amazing place to visit. I would recommend this place for anyone who wants to feel important while you're dining. 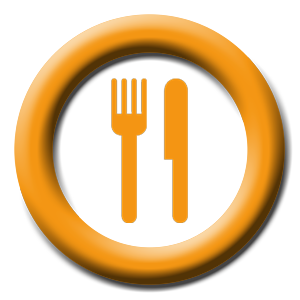 I found the food delicious and the service was exceptional. I would definitely recommend!! I have been visiting the Jitrada on and off for over 10 years. The standard of food and service has never waivered - it seems to get better in fact! For a meal with business colleagues or an intimate dinner for two, I'd recommend it without hesitation.